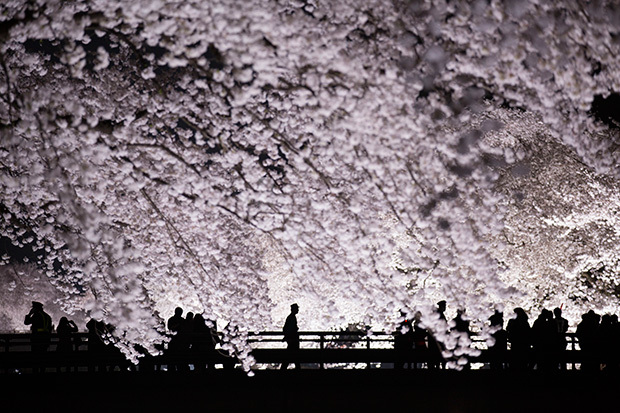 Standing amidst a crowd of awestruck onlookers, Tokyo-based photographer Martin Bailey captures the silhouetted scene of the Nogawa Cherry Blossom light-up, a yearly event that draws some 100,000 people to the freshly blooming flowers. As families and groups of friends gather on the footbridges, guards and officers step in to prevent mayhem on this festive occasion. 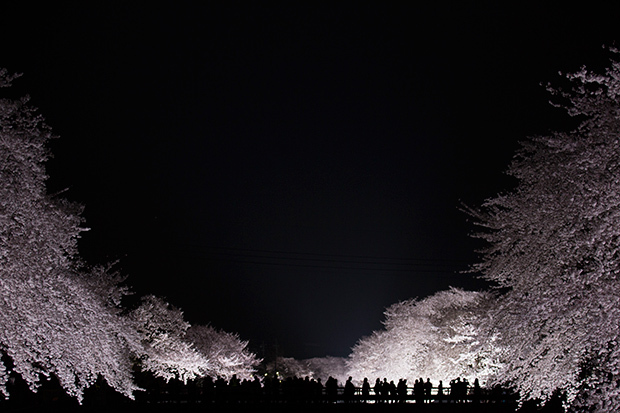 Light ups and parties celebrating the cherry blossoms are common during springtime in and around Tokyo, providing food, drink, and entertainment to guests. Here, Bailey captures the essence of the iconic flower and its spiritual significance. Since the bloom lasts only for a few brief weeks, the cherry blossom is believed to illustrate the fleeting nature of our own existence. Like the precious blossoms, we too are born in a beautiful frenzy, only to realize our own mortality and ultimately to vanish. 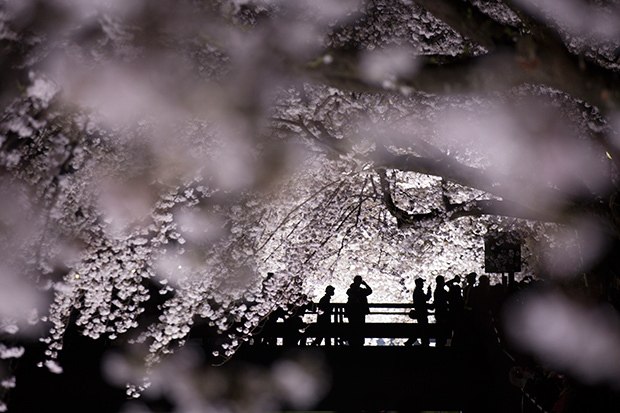 According to some Japanese schools of thought, the spirit of the dead can be reincarnated into the cherry blossoms themselves. In Bailey’s illuminated images, all human life is transformed into shadow, and the boisterous scene turns quiet and meditative, as if beneath the blossoms, we become clouded, transitory figures navigating the spellbinding landscape of night.